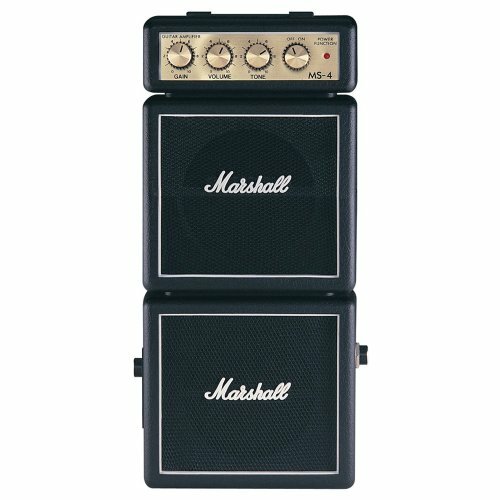 For those player to whom a full-stack is a must, Marshall has introduced the MS-4, a full stack in miniature form standing at 25 cm tall, 11 cm wide and 6 cm deep (approx. 10 x 4.3 x 2.4"). The MS-4 has a headphone output for those of you who want to rock in private. This output can even be used to drive an external power amp if you so wish. The MS-4 is finished in traditional Marshall black, with white logo and gold panel.